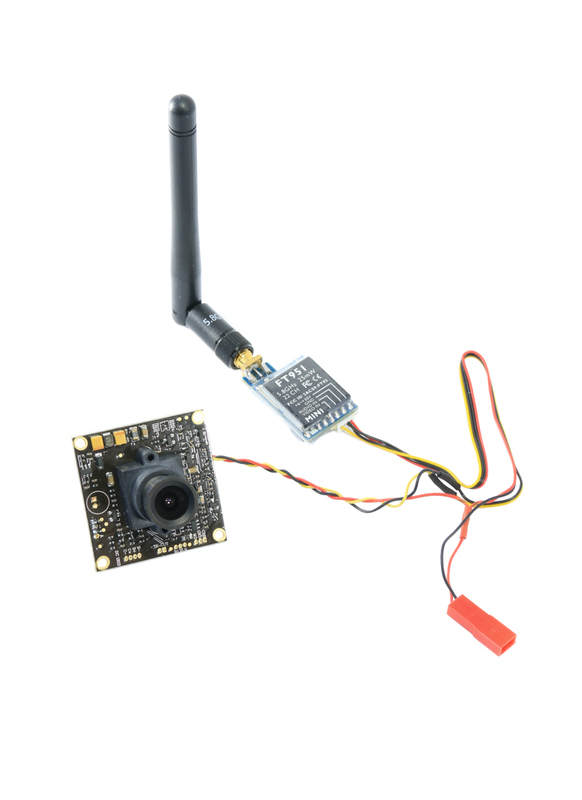 This great value first person view (FPV) bundle put together by Flying Tech, is designed to take the confusion out of creating a FPV setup. It’s all plug and play and fully compatible, so no soldering or guesswork is required. The kit combines everything your need to create a full FPV setup. 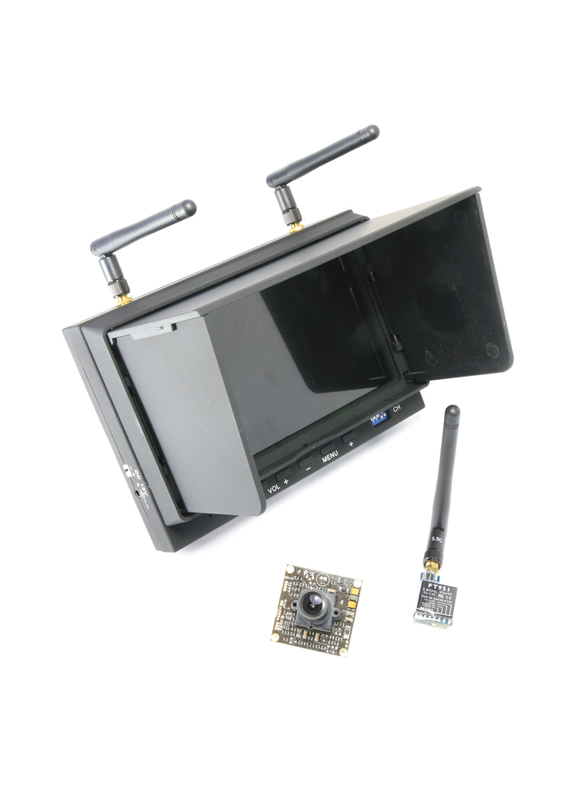 It includes our favourite FPV monitor, the DYS-702 with inbuilt 32 channel diversity receiver; a high quality Sony CCD 700TVL camera, which actually works in changeable light levels unlike many cheap CMOS cameras that 'black out' and finally a choice of 5.8Ghz video transmitters (please select as required). The FPV transmitters on offer are the FT915 UK legal 25mW Tx, good for at least 200m in open space; the FT952 200mW Tx, good for 500m line of sight and finally the professional FT956 Tx which has a variable power output ranging from the UK legal 25mW limit to a massive 800mW for a very long range. All of the gear operates on 12V DC (3S LiPo) and have JST female power plugs. We sell a useful adapter that lets you power the setup directly from your 3S LiPo's balance lead. More information about each of the bundle items can be found on their dedicated product pages. Does the camera record in colour? Hi, the camera provides a colour picture but it doesn't record. If you want to record the video in colour we sell the same monitor but with a DVR, which would record the live video onto a SD card. Does the camera come with a housing? If not would it be possible to swap the camera for another and pay the difference? Hi James, I've just emailed you. The camera doesn't come with a housing, but we can swap it for one which does.